London is today named the second best rated destination in the world and Europe and number one the UK in the tenth annual Travellers’ Choice awards for Destinations, announced by TripAdvisor, the travel planning and booking site. Paris takes the title of world number one this year, with Rome following behind London in third place and Bali coming in fourth. Interestingly, New York, a long-time favourite with travellers worldwide, slips down to tenth place this year from fifth last year, with Crete, Barcelona, Prague Marrakech and Istanbul – which come in fifth, sixth, seventh, eighth and ninth respectively – all ranking above the Big Apple. The TripAdvisor Travellers’ Choice awards for Destinations reveal the world’s best-rated destinations each year, based on millions of reviews and opinions from TripAdvisor travellers. Award winners were determined using an algorithm based on the quantity and quality of reviews and ratings for hotels, restaurants and attractions in destinations worldwide, gathered over a 12-month period, as well as traveller booking interest on TripAdvisor. European destinations dominate the world top ten this year with seven of the top ten from the region; Paris, London, Rome, Crete, Barcelona, Prague and Istanbul. 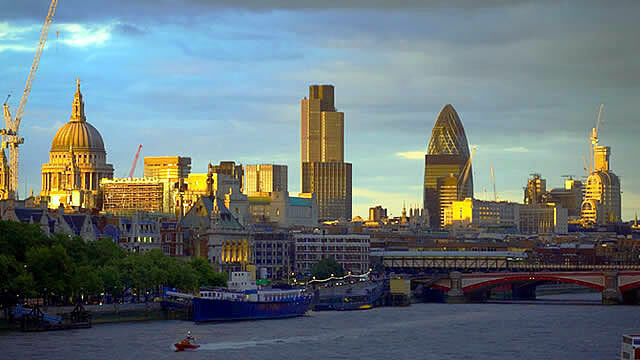 “This year’s awards show that the UK’s capital is still a firm favourite among global travellers as it maintains its position in the top two destination in the world. Travellers planning a visit to one of the top 10 destinations in the world will get the best value in Istanbul, with the average nightly hotel rate on TripAdvisor coming in at £78,” commented TripAdvisor spokesperson, Hayley Coleman. The awards also reveal the UK and Channel Isles best-rated destinations and while London ranks as the UK’s number one destination overall, the north also has a lot to celebrate with six winning destination in the top 10 versus four southern winners. And it is not the first time that the north has boasted more winning destinations than the south in the Travellers’ Choice Destinations awards; in fact, this has been the case for six years running. Edinburgh, Liverpool, York, Glasgow, Blackpool and Belfast take second, third, fifth, sixth, ninth and tenth place respectively. While to the south of the UK and Channel Isles, London, Jersey, Isle of Wight and Bath come in first, fourth, seventh and eighth respectively. To help travellers plan their next trip to the world’s top ten destinations, TripAdvisor has identified highly-rated value hotels that cost less than the destination average. For the complete list of Travellers’ Choice Destination award-winners for 2018, as well as the latest reviews and candid traveller photos, visit www.TripAdvisor.co.uk/TravellersChoice-Destinations. Travellers can also follow the conversation on Twitter at #TravellersChoice.